But taking a little time to close up your week right, can make a big difference on the new one. Clean up your space. 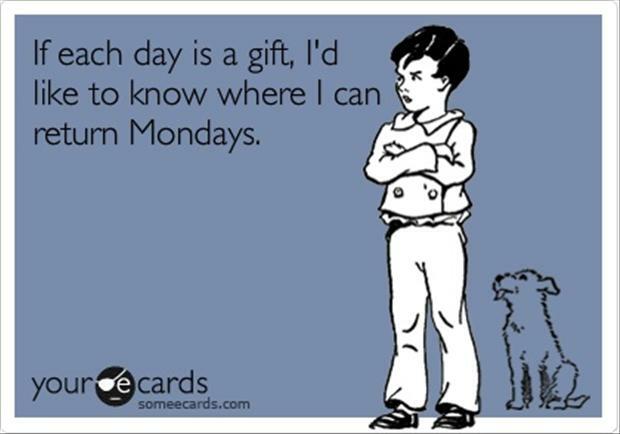 Mondays are tough enough as is, you don’t want to start your day out with clutter and disorder. So file those papers and docs. Archive your inbox. Recycle those printouts. Put your toys away. Throw out the trash. Make a To Do List. 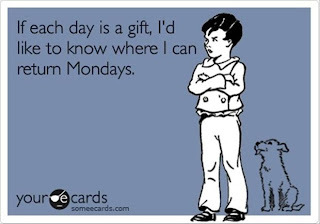 What will you need to do Monday? Any meetings? Deadlines? Phone calls to your phone company to cuss them for overcharging you for no damn reason? Put reminders in your phone. Block off time on your calendar. Write them out so when you sit down on Monday morning you know exactly where to start. Finish things. 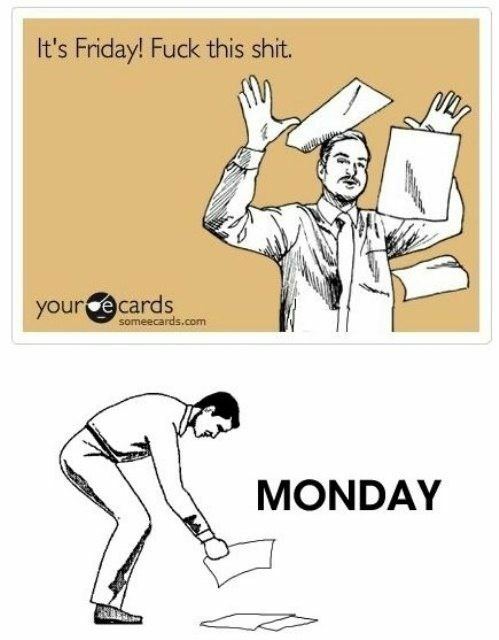 By Monday you’ll forget where you were/what you were doing and/or not give a damn. Reflect. 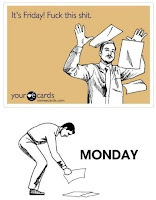 What are the most annoying/dreaded parts of Monday. How can you set things up so you don’t have to deal with it? For example, I try to have my blog post ready so all I have to do is hit publish and post.